So a scientist thinks that there could be 10 times as many species of plants and animals than we know. This not only demonstrates the huge creativity of the Creator God, but it also puts the lie to all those ads by such mendacious groups as WWF and their ilk who make claims such as “70% of all animal species have died”- if we don’t even know how many there are now, how can we even guess at such a percentage? The number of different plant and animal species in the world may be 10 times greater than we think, according to a professor from Flinders University. An Australian team has written to the journal, Nature, claiming the estimate of 8.7 million species could be just a fraction of the true figure. Professor Mike Lee, an evolutionary biologist with the South Australian Museum and Flinders University, said it was a “known unknown”. “Knowing how many different forms of life live on earth is probably one of the most fundamental questions a scientist can ask,” he said. 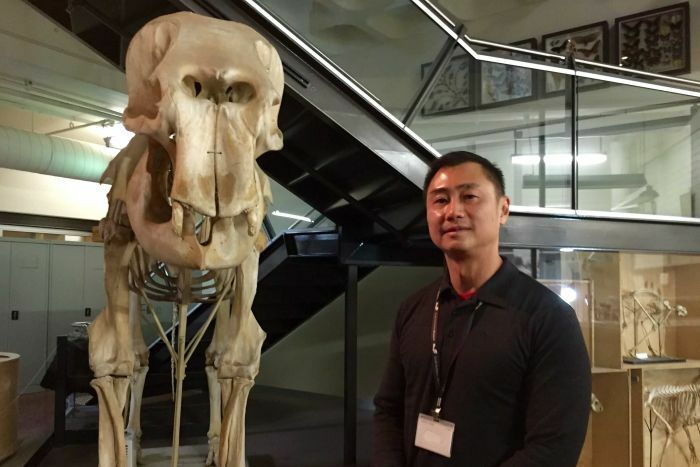 Professor Lee said the processes to determine different species used to be quite superficial. “What we’ve done in the main is look at animals with the naked eye, and sort them into piles, and each pile we think is a new species,” he said. “But when we look at the piles really, really closely, using genetics, it turns out each pile isn’t really just a homogenous set of individuals. He believes the real number could be closer to 90 million, and that is important for conservation efforts. “If we thought there was only one African elephant, we might not be concerned that all the elephants in the forest were going extinct, because we might think there’s plenty of the same thing out on the savanna,” Professor Lee said. Professor Lee said it was not reassuring that there might be more species out there, because they could also be falling extinct without our knowledge. His letter to Nature was co-written by Paul Oliver from the Australian National University. Jesus appoints seventy disciples, sending them out to in pairs. He instructs them to stay in one place in any town where they are welcomed. They are to preach the kingdom and heal the sick. If any town rejects them they are to shake the dust off their sandals and move on. Jesus goes on to pronounce curses on various town for rejecting Him and therefore the Father. The seventy return rejoicing for even the demons submitted to them. Jesus tells them not to rejoice in this but to celebrate that their names are written in heaven. Jesus tells us to “go” with the word of God and the power of the Holy Spirit. This may involve physically travelling from town to town or staying and engaging with our neighbours. Healings and miracles are more commonly seen in the context of evangelism than in the comfort and safety of church meetings. The Lord’s commandment is to go ourselves and to also pray for the Lord to send more workers. We might rejoice in our power over evil spirits and the gifts which the Holy Spirit equips us with, Our attention must never drift from the celebration of salvation- the greatest miracle of all. Lord Jesus you died to give me life, I thank you that my name is written in the book of life. Help me to share this Good News with my friends. Amen. There’s a rich root of revival in Los Angeles—and women were a key part of it. Assemblies of God history tells us the Azusa Street Revival brought women’s ministries to the fore. Indeed, Jennie Evans Moore who married Daddy William Seymour in 1908, was a key figure. Her name is not as well known as Seymour’s but she was in the revival trenches with him, along with Lucy Farrow and Julia Hutchins. These virtually nameless and faceless, yet faithful, women helped keep the fire burning. Maria Woodworth-Etter was a mother figure in early Pentecost—John G. Lake called her “Mother Etter.” Her trance-marked ministry helped pave the way for the Azusa Street outpouring and ultimately the birth of a movement that changed the world. Bold women like Aimee Semple McPherson and Kathryn Kuhlman followed in Mother Etter’s footsteps. McPherson’s Angeles Temple is still standing in Los Angeles today. I stood behind her pulpit in her home, which the Foursquare denomination she started preserved for historical purposes. The time is now, says the Lord. The time is now, says the Lord. The time is now, says the Lord, for apostolic women to arise and indeed they are arising even now. The time is now for apostolic women to arise and take their places in their church and take their places in the marketplace and take their places in their families, in their homes. The time is now for apostolic women to release the revelation that I’ve shared with their hearts in the secret places. The time is now for apostolic women to arise and bring forth the revelation of days gone by. The time is now for apostolic women to build upon the revelation, to speak forth, to build, to build, to build and plant in the name of Jesus with the authority of the Lord Jesus Christ backing them; with all of heaven standing with them; with the ministering angels building and working alongside of them. The time is now for apostolic women to arise in this city and in this region and in the nation and in the nations of the world. For many years apostolic women have sat in the background waiting for permission to prophesy, waiting for permission to take their places and their God-given roles in the body of Christ. And the time is now for apostolic women to come to the fore, working alongside apostolic men and prophetic believers and evangelists, pastors and teachers who have a heart to build, who have a heart to see awakening, who have a heart to see revival impact this land and who have a heart to see the glory of My Spirit go forth in the nations and cover the earth as the water covers the sea. The time is now. Apostolic women, the Lord says you have permission to rise up, even own and carry the mantle of Aime Semple McPherson, and carry the mantle of Kathryn Kuhlman, and carry the mantle of Maria Woodworth-Etter, and carry the mantle of those great women from generations past who were nameless and faceless. The time is now. Rise up, says the Lord. Bear one another’s burdens, and in this way you will fulfil the law of Christ. We are to do al that we can to restore a sinning brother or sister. This is one way that we can bear one another’s burdens and fulfil the law of Christ. We must all judge our own works rather than those of our neighbours. Those who are taught must share all good things with their teachers. We reap what we sow, so we must be careful to sow into the Spirit not the flesh. This should encourage us to keep on doing good things. Finally we must stand firm against the “circumcisers”- the people who want to add legalism to the gospel. This just leads to boasting and pride. Circumcision or uncircumcision mean nothing. A new creation in Christ is everything. these final points in Paul’s letter cover a lot of ground- church discipline, tithing, legalism, good works. In all of them, Paul is directing us to look to Christ. We must sow in the Spirit not in the flesh so that we can harvest God’s reward in the future. We must not add anything to the gospel as this would bring aobut a works mentality. While seeming to be holy, these things subvert God’s grace. Thank you Lord that in you I am a new creation. Help me to live out the gospel in all that I do. Amen. Naaman, a commander of the army of Aram suffers from leprosy. A Hebrew slave girl, captured by Naaman’s army, tells Naaman’s wife about Elisha’s ability to heal. Naaman approaches his boss, the king of Aram, who writes to the king of Israel demanding that he heal Naaman. So Naaman comes to Elisha’s house. Elisha sends a messenger out to tell Naaman to go and wash seven times in the Jordan River. Naaman is angry because Elijah has not acted in the way he expected, But his friends urge him to do this simple thing. Finally he is persuaded and he is healed. Naaman responds to his healing by determining to worship no other god than the Lord. However he does seek Elijah’s blessing to accompany the king when he bows to idols. God doesn’t always act in the ways we think He should. He doesn’t answer prayers on our timetable and often he answers in ways that are beyond anything we would have imagined. Miracles can be missed because we have fixed ideas about God’s methods and directions. The religious spirit deceives us into believing that the Lord is constrained by our words or actions. Listen to the voice of the Holy Spirit and be humble and brave enough to do what He commands, whether it is something simple or something difficult. Lord help me to be open to your miracles, no mater how they come. Amen. The sermon for June 26th is now available on the New Life web-site. In this sermon, which is based on Luke 15:11-32, I talk about the Orphan Heart. Babylon Bee humorously predicted it, and here it is just two days later, the first claim that Brexit fits into Bible prophecy. Just astoundingly, amazingly bad theology. Britain’s exit or simply ‘Brexit’ has bitterly divided the country. This controversial political move has just concluded with Britain walking away from the powerful European Union. After 43 years, Britain has finally decided to leave and regain complete sovereignty of their native land. With this in mind, are we moving closer to the fulfillment of Biblical prophecies? Where will this recent event lead us? Most importantly, what does this mean for us, individual Christians?